we walked through MOKO mall to the overhead covered walkway linking to mongkok station to fa yuen street. i found hoe kee dessert 浩记甜品馆 on fa yuen street just some steps from the staircase. 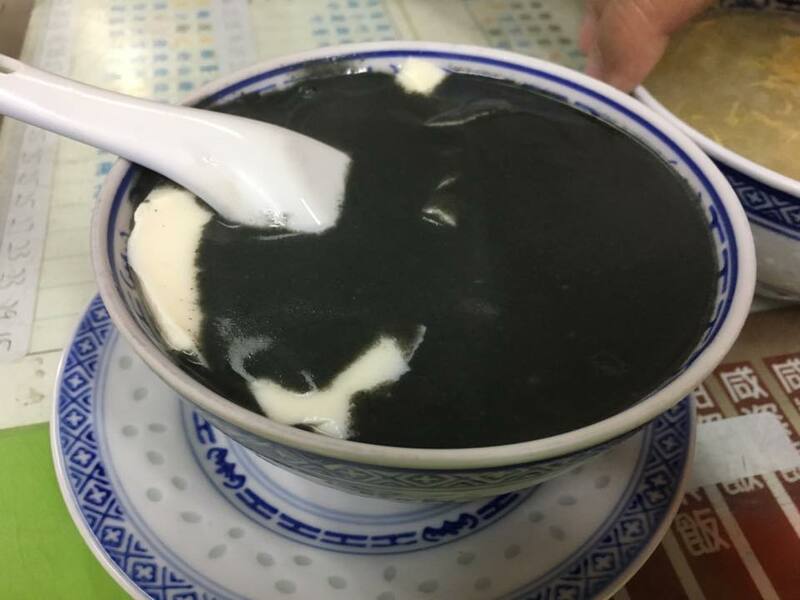 hoe kee dessert 浩记甜品馆 was the place my RI group had very good dessert that we went back again – 10.1.2016 then 13.1.2016.
today though somehow could not relived the experience. i took the black sesame tau huay. it was ok just nothing great. in fact i did not finish it. somehow the paste糊 was smooth but diluted & not thick enough & could not really compare with that at hoi kee walnut place 海記合桃坊甜品, which was the best i had so far this trip. i think another friend had the walnut paste, and likewise it was the same, not quite as good. 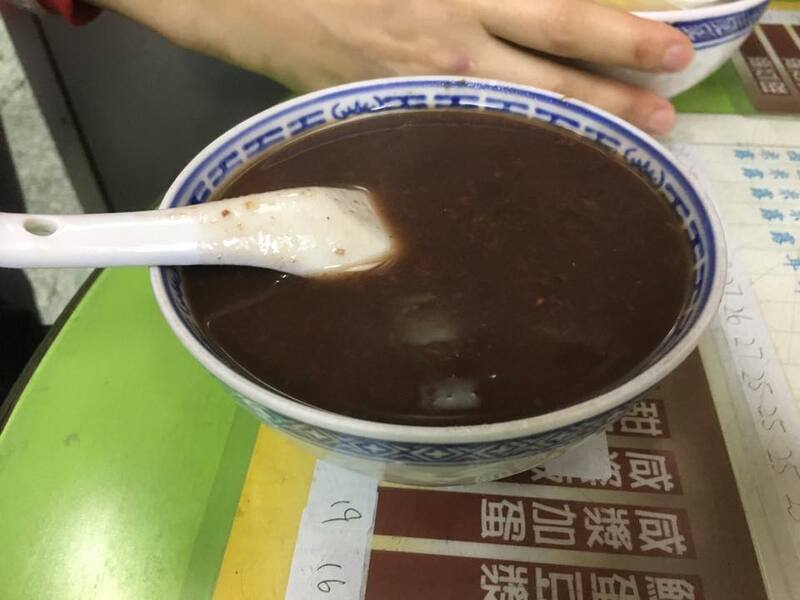 my friend took his usual red bean soup, 陈皮红豆汤. i think it was ok.
another friend took some lotus dessert, i think, couldn’t really recall. it was ok too. i wonder why the experience was so distinctly different. looking back at the photos i huessed partly depends on what we ordered. 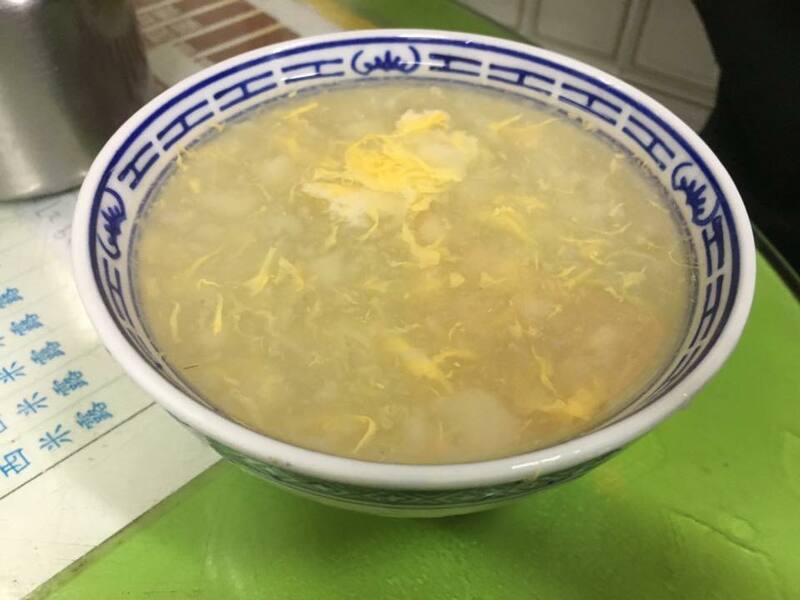 the last time i had a very nice mango cheng chow with lotus 芒果凉粉加莲子 & we added dumplings 汤圆. that would not have changed the conclusion on the quality of the paste糊, but perhaps would give a better overall experience. This entry was posted in Buon Appetito!, Hong Kong Eat & Hike 20-24Feb2017. Bookmark the permalink.